The best places to farm for Wellspring Crystal in Kingdom Hearts 3. 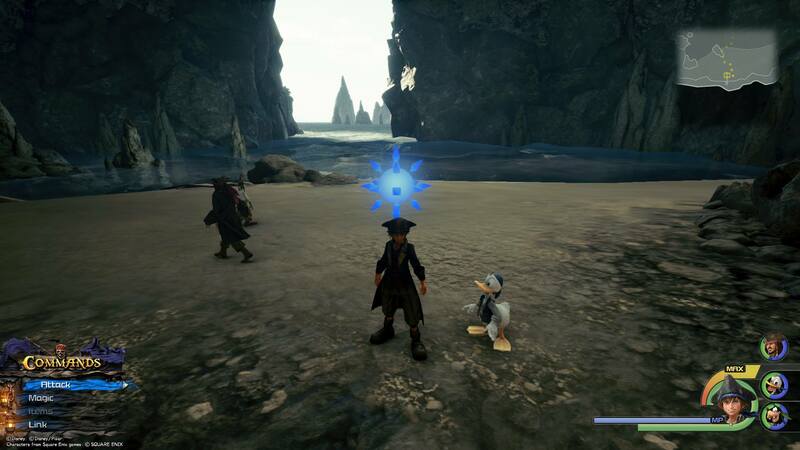 In Kingdom Hearts 3, one question players often have is where to get Wellspring Crystal. As one of 58 Synthesis materials in Kingdom Hearts 3, Wellspring Crystal is primarily used to upgrade keyblades, or craft new keyblades like the elusive Ultima Weapon. Because of this, Wellspring Crystal isn’t as common as some of the other Synthesis materials in Kingdom Hearts 3. Fortunately, there are a few surefire ways to farm for Wellspring Crystal. To help get you started, we’ve put together a quick guide on where to get Wellspring Crystal in Kingdom Hearts 3! Battlegates like the one in San Fransokyo let you repeatedly farm for Wellspring Crystal in Kingdom Hearts 3. One of the easiest ways to get Wellspring Crystal in Kingdom Hearts 3 is by battling large Heartless in worlds like San Fransokyo, the Caribbean, and Monstropolis. Although, due to the small drop rate percentage of the material, you’ll want to boost your odds by equipping certain keyblades. For example, Wellspring Crystal drops more frequently when you defeat enemies with the Favorite Deputy keyblade equipped. For a more reliable way to farm Wellspring Crystal in Kingdom Hearts 3, you can also interact with Battlegates like Battlegate #12 in San Fransokyo. 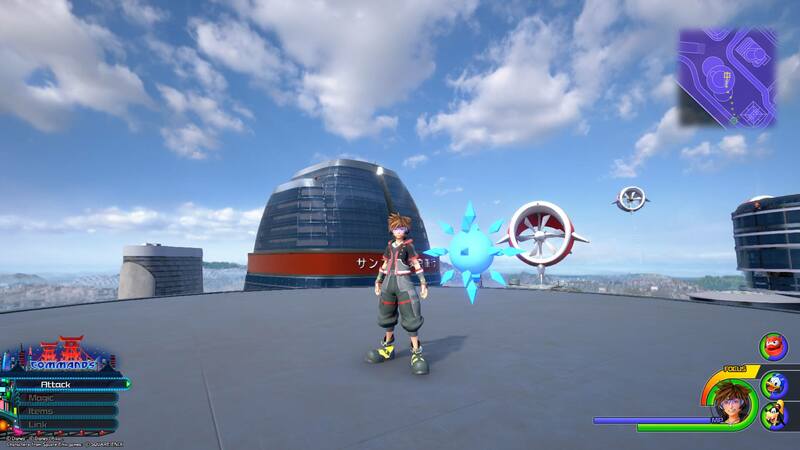 Battlegates appear as blue, spiked orbs hidden throughout the various worlds of Kingdom Hearts 3. To unlock Battlegates, you’ll first need to reach the Skein of Severance section of the campaign. Meanwhile, to find Battlegate #12, you’ll want to spawn into San Fransokyo at the North District (Day) area and look for a tall building with three circular platforms on top. On the building’s highest platform, you should be able to spot Battlegate #12. With a 1-star difficulty level, you should have no trouble defeating the enemies within the twelfth Battlegate. In doing so, you’ll earn a variety of rewards, including Wellspring Crystal. What’s nice is that there’s no limit to how many times you can complete the twelfth Battlegate in San Fransokyo, making it a reliable way to farm for Wellspring Crystal. Battlegate #10 in the Caribbean is another area where you can farm for Wellspring Crystal in Kingdom Hearts 3. Note that there are other Battlegates that drop Wellspring Crystal, like Battlegate #10 in the Caribbean. For more on where to find Battlegates in Kingdom Hearts 3, be sure to check out our previous guide. To recap, Wellspring Crystal drops from large Heartless in worlds like San Fransokyo, the Caribbean, and Monstropolis. You can also earn Wellspring Crystal by interacting with Battlegates like Battlegate #12 in San Fransokyo, and Battlegate #10 in the Caribbean. After exploring ways to get Wellspring Crystal in Kingdom Hearts 3, what do you think is the best way to get the material? Do you prefer running through Battlegates, or is it easier to seek out large Heartless battles in worlds like Monstropolis? Let us know down in the comments below! For more on Kingdom Hearts 3, be sure to check out some of our previous guides including where to find all 14 Battlegates in Kingdom Hearts 3, all Flantastic Seven locations in Kingdom Hearts 3, and where to find all Lucky Emblems in Kingdom Hearts 3.